Energy Booster - Not only is honey sweet, it contains carbohydrates which give energy and strength to the body. Honey contains glucose which is quickly engrossed into the body system. If you are feeling low or going out for exercise/workout simply take a spoon of honey, it will boost your energies almost immediately. Prevent cancer and heart disease - Manuka Honey has flavonoids and antioxidant that help prevent carcinogen and tumors. Healing of Cuts and Burns - Manuka Honey is an antiseptic that can be used to keep wounds clean. It absorbs moisture and contains anti-bacteria agent than prevents swelling and infections. Reduce cough and throat irritation - Manuka Honey can be used to relieve cough and clear the throat. Sleep Inducing Agent - Are you suffering from insomnia? Take a cup of hot milk and a spoon of honey to relax the soul and induce sleep. Skin Care and Beautifier - Its anti-bacterial qualities are mostly beneficial to the skin. When used with the other elements, it can moisturize and nourish the skin. 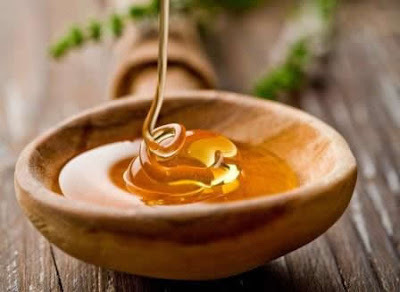 Manuka honey can be used in the treatment of acne, simply apply it to the dark spots and cover with bandage. After a couple of hours remove the bandage and clean the face with warm water.